Symphony P9 Price In Bangladesh! The Bangladeshi number one smartphone Brand Symphony brings a new big budget Upcoming Smartphone in Bangladesh Market name Symphony P9. 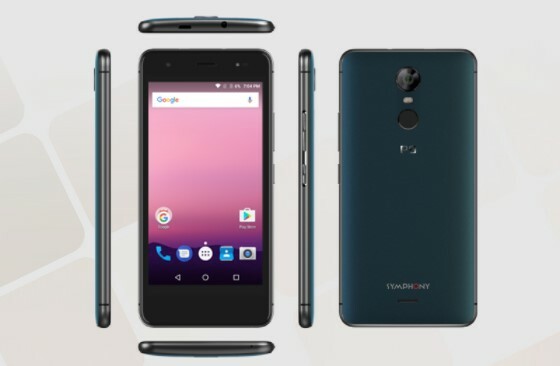 In the year 2016, Symphony makes “P” series Smartphone and first mobile name Symphony P6. When the Symphony P6 Smartphone release, the Bangladeshi smartphone lover searching it and the best seller Symphony smartphone in 2016 name P6. Then the Symphony brings another “P” series Mobile, Symphony P7 Pro. This is a very high performance Smartphone and many BD Smartphone users use still now. So, the Symphony Company tries to give a high performance smartphone in 2017 for their valuable users. So, they announce a big budget (price under 15,000 TK) “P” series Smartphone in Bangladesh Market, whose name is Symphony P9. The Local Brand Symphony company announces, Symphony P9 smartphone release in June, 2017. The latest Android operating system Nougat v7.0 added in P9 smartphone and power by 1.3 GHz 64-bit Octa Core processor. The Symphony P9 has 3GB high power full RAM and 32 GB ROM. The Symphony Smartphone P9 comes with a 5.5” inches HD IPS Display with 2.5D Curved glass and support 16M colors. It has support multi-touch sensor, that’s mean, users use five fingers at the same time. The main attraction on a big budget smartphone, whose is a Camera. The Symphony android Smartphone P9 has 13 mega pixels front and back camera with Dual flash light. There are some great Camera features added in P9 smartphone, like as f/2.0 (Back & Front), HDR, Face beauty, Panorama. Are you searching Symphony P9 Price in Bangladesh Market and Showroom? if yes, no tension. The Symphony P9 Price in Bangladeshi TK 12,990 BDT. Release Date Announced: May, 2017.Status: Coming Soon.Release in June, 2017. Operating System Android v7.1 Nougat Version. Chipset 8X 64-bit Cortex-A53 1.3GHz. PPI ~267.02 ppi pixel density. Front camera 13 MP (Mega Pixel).. Features f/2.0 (Back & Front), HDR, Facebeauty, Panorama etc. Thanks for staying with us a long time and visiting Symphony P9 specification, Price, Release date, Features, RAM, ROM, Camera content, If you have any confusion or question or want to know more about the Symphony P9 BD Price, just comment the below box. We reply as soon as possible with a correct answer.